About Speake Insurance Services, Inc. in Norco California - Speake Insurance Services, Inc.
About Speake Insurance Services, Inc.
Speake Insurance Services Incorporated is an Independent Insurance Agency, representing many different companies and individuals for their insurance needs. We carefully select our carriers in order to provide our customers with the best price, level of service, and coverage. As an Independent Agency, we provide our customers the platform to choose the best carrier for their specific insurance needs, without them doing any of the legwork. We thrive to satisfy our customers insurance needs. Our primary objective is to educate and service our local communities, as well as all other communities throughout the state of California. We also provide insurance services throughout the states of Arizona, Indiana, llinois, Nevada, Oregon, Texas, North Dakota, Washington, and New Mexico. Whether you want to insure your out of state dream home, or you intend to move out of state, we can help. We deliver the best possible insurance options based on individual or group needs and budget. We then provide a current assessment of our customers insurance needs and help them plan for their future, like retirement, student drivers, existing conditions, Medicare, COBRA, and so much more. With our professional experience, knowledge, and access to many different carriers’ rates and premiums, together we can choose a package that best fits your needs. Our staff is dedicated to providing our customers with the best coverage, at competitive rates. We work directly for you, not the insurance company. So in the event of a claim, we can be your liaison with the insurance carrier. We want you to have a positive experience with Speake Insurance Services, Inc.. Our one-on- one friendly service approach is our #1 goal for all our customers. Call and talk directly to one of our personal staff members at 951-547-6779 . Otherwise, please feel free to complete a “Quote Request” form located at the top of our website. Let us shop your coverage through many top rated companies and provide you with the best options. We look forward to speaking with you and answering any of your insurance questions. In 1993, Brooks started his carrier selling health and life insurance policies to companies and individuals at Downey Community Hospital Insurance Services. However, working for a large insurance company did not provide Brooks the customer service platform he thought his customers deserved. So he left Downey Community Hospital Insurance Services in 1995, and started Empire Benefits with the help of an associate. This was just the change Brooks needed to provide his customers with the one-on-one service approach he still implements today. It also opened the doors for him to establish long lasting professional relationships with a variety of insurance representatives. Still striving to do more for his customers, Brooks branched out and started Speake Insurance Services, Inc. With his hard work, perseverance, and desire to provide a wide range of coverage, he can now provide all lines of insurance at competitive pricing, without compromising his one-on-one customer approach. Whether he is working with young entrepreneurs, companies, or individual families, Brooks is focused on empowering his clients to protect their assets and future so they can focus on what matters most in their life. Brooks believes there is a better way to approach protecting one’s assets that is just not found in most insurance companies. He created his own firm to fulfill his vision of providing straightforward, unbiased, advice by operating from an independent structure. Brooks has spent the last 23 years working closely with community service organizations and non-profit organizations. He thoroughly enjoys giving back to his community. He is a member of the Norco/Eastvale Rotary Club that helps transforms gifts from people like you, into service projects that change lives both close to home and around the world. Brooks is also part of several broker advisory committees that report back to The Office of the Insurance Commissioner and agency executives twice a year on discussions about key issues and developments within the industry. The primary purpose of the broker advisory committee is to protect consumers and make sure that companies, agents and brokers follow the rules. 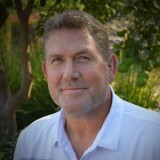 Brooks is a family man who has built Speake Insurance Services, Inc., on his reputation to work hard for his customers, and his dedication to loyalty. He believes in treating others the same way he wishes to be treated: with respect and professionalism. Brooks is always excited for the opportunity to work with new clients and inventing or finding new ways to improve his business and client relations. 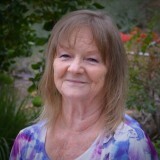 Norma has been a committed and reliable Account Manager for more than 27 years, with a focus in the Health Industry. As an Account Manager, Norma acts as a liaison between the insurance companies and clients to ensure clients are made aware of all important or missing information. Norma started her insurance career at FHP (Family Health Plan aka Pacific Care) before taking some time off to raise her 4 children. 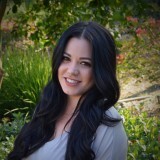 She moved to Norco, CA in 2007 and started working here at Speake Insurance Services in 2011. Norma is proficient in English and Spanish. She provides exceptional customer and client care and is committed to delivering trusting support to our clients. Norma pays strict attention to detail to find sound solutions to resolve client issues and handles sensitive information with great care to ensure maximum privacy. Norma has extensive experience dealing with people of diverse backgrounds via face-to-face, telephone, and email, and works tirelessly on keeping the customer contact matrix updated. 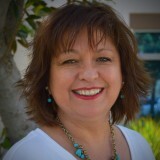 Norma’s years of experience make her exceptional at identifying key unmet customer needs. Norma works diligently to ensure prerequisites are fulfilled for your company and individual accounts. Kayla started with Speake Insurance in 2012 and is a key member of our insurance team. As an Account Manager, Licensed Health and Life Agent, and dedicated Specialist for Renewals and Benefits, she is knowledgeable in the variety of insurance products for both businesses and individual coverage. 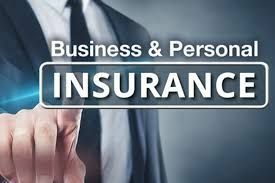 Kaylas focus is in Medical and Health Insurance which includes group medical, dental, vison and life insurance, as well as individual and family coverage, personal life insurance and Covered California. In May, 2018 Kayla earned her Notary Public Commission, enabling her to provide our clients with the convenience of in house certification of documents, and administering oaths and affirmations, when needed. With Kaylas experience and specialization, she is committed to provide detailed explanations of coverage options that best fit our customers needs and budget. Kayla takes great pride in having a personable relationship with each of her clients and providing them with above satisfactory service. She strives every day to meet all of her clients personal and business insurance needs. 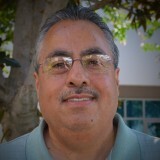 Al Gutierrez has over 30+ years of experience in the insurance industry and has been selling policies to fit corporate needs with an emphasis on long-term relationship building as well as excellent customer service. Al serves as a trusted advisor to corporations both big and small. In all the roles he has held, Al has fostered strong positive business relationships with customers and strategic associates. Al’s professional approach, combined with a talent for negotiating and market strategizing, proves to be a great asset for our customers. In addition to his accomplishments in commercial Insurance, Al brings a proven approach to developing new business and leads a top-performing team committed to achieving customer objectives. Al’s vision within our Commercial lines is to use his knowledge and experience toward executing innovative strategies to boost company leverage in a competitive market. Al is adept at evaluating the constantly changing insurance requirements and provides our customers with new policies and services that fit their corporate needs. Above all, Al takes a personal interest in his clients and understands his client’s insurance needs. Al views the relationships he has with his clients as an ongoing partnership. Al has built his clientele on a reputation for being proactive, persistent and having a keen ability to pinpoint what the client’s insurance needs are. Thanks to his exceptionally loyal clientele and personal referrals, repeat business has formed the foundation of Al’s career. Today Al remains committed to giving back to the community. He assists in Non-profit organizations within the community, and volunteers for the local law-enforcement agencies. Al holds a position on the Chief Advisory Board for Rotary International allowing him the opportunity to aid and advise on policies that provide guidance that will help Rotary International clubs across all cultures thrive. Ginger brings to her position a well-established background in personal and commercial lines of insurance. Her 30+ years of experience in the insurance industry has helped her develop skills and the expertise needed to be a topnotch Account Manager. Ginger started as a typist at an LA based insurance company. Within a year she gained the experience and knowledge needed to earn a spot on the agency side doing personal lines of insurance for a small company in Inglewood. A year later, Ginger moved to a larger agency to develop her capabilities and expertise. She spent the next 31 years expanding her insurance exposure to marketing, quoting, and added commercial lines to her proficiency, 12 of which were used to hone her skills as an Underwriting Manager for Professional and Commercial lines of insurance. After the agency was sold and all the policies and programs were moved out of California, Ginger started working for Speake Insurance Services and has been here ever since. Ginger is attentive to her customers insurance needs. Her responsibilities in this role include developing new service offers and delivering quality customer service to ensure customer satisfaction. Ginger educates the policy owner(s) about their specific policies for both their present situation, and the performance of the policy going forward. Ginger strives to present the policy owner(s) with potential alternatives within the carriers so as to provide our clients with the most enhanced features and benefits that fit their needs and budget. Ginger believes her duty is to represent our clients to the best of her ability, but also to educate them throughout every step of the process armed with current, up to date information, and carrier insight so that our clients can make the best decision possible. Ginger always has the clients best interest at heart. Jodi Bellue serves as our Commercial Lines Specialist bringing over 25 years’ experience of related Commercial Insurance on both the Company and Agency side. Jodi maintains a Certified Claims Certificate and a California Property & Casualty License. 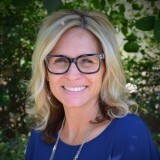 Jodi has been with Speake Insurance Services since 2015. She is our expertise for all Commercial accounts for both new and renewing business. She handles each policy from beginning to end including gathering all information that is required to write and maintain every opportunity that comes her way. Jodi manages and develops new company appointments and is an advocate for maintaining existing relationships with our current carriers. Her experience and hard work includes; acquiring complete underwriting information for submissions, attaining the most competitive quote, assigning and writing insured’s policies with the best carrier(s) possible. Jodi’s number one priority is to deliver exceptional customer service and satisfaction. She treats every opportunity, no matter how big or small a task is, the same, with 110% effort. 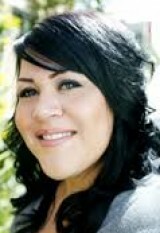 Most of all, Jodi values the professional relationships and clientele she has built over the years. Jodi’s experience and energetic personality makes her incomparable to other agents in the industry. Amanda is a licensed Property and Casualty agent for our commercial lines here at Speake Insurance. Amanda started her insurance career at PHD Insurance Brokers back in 2017 but wanted the opportunity to grow her professional skills. In August 2018, she joined our team here at Speake Insurance Service. As an ambitious professional, it is Amanda’s mission to team up with our company because we share her dedication to growth, and exceptional customer service. Amanda has the drive to always provide up-to-date regulatory compliance and keep our clients equipped with the most up to date coverage and costs. Amanda prides herself on providing the same high level of service to all our clients whether it is their first time searching for the right insurance policy, or they are renewing for the first or hundredth time. She will make your goals her own and will exceed the client’s expectations to ensure she accomplishes their goals. Amanda’s commitment to work hard, and her genuine ability to go above and beyond, are just two expectations you can count on when you work with her. Amanda brings with her a passion for innovation through team collaboration and we are very fortunate to have her at Speake Insurance Service. Sabrina serves has our Commercial Lines Account Manager contributing over 20 years’ of commercial insurance and marketing experience. Sabrina holds both licensing in Property & Casualty and Life & Health insurance disciplines. Sabrina, is excellent with competitive insurance placement and she is also well-versed in commercial insurance products, risk management and creating tailored insurance programs that will benefit our customers policy needs and financial budget. 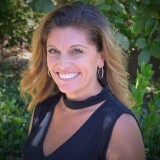 Sabrina, enjoys helping our customers with efficient servicing and streamline marketing solutions to afford the best pricing and rate negotiations available. In addition, Sabrina brings a detailed and ethical business foundation to our team. 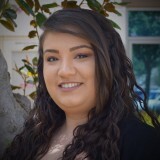 Sabrina, values building honest relationships with our clients and goes the extra mile to offer her assistance and guidance with our customers coverage needs pertaining to their policies, billing, and any audit disputes. Sabrina, is always available to our clients and looks forward to providing unsurpassed customer service and affordable insurance products. 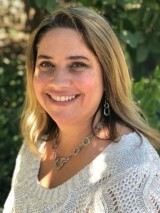 Frustrated by her own experiences with large insurance carriers, and sharing in Brooks' vision to provide clients with top-notch customer service, Shara partnered with her husband in opening Speake Insurance Services, Inc.. Shara is a sharp, driven executive with proven experience in business operations. Shara has a specialized ability to supervise cross-functional teams, projects and has excellent cross-lines management skills. She offers a rich blend of accounting, operations, administrative, and leadership talents gained from her 20 years of experience in the insurance industry. Shara has a multitude of responsibilities here at Speake Insurance but her main focus is to monitor and direct the overall activities of the business and it's employees. Outside her duties here at Speake Insurance, Shara's true enjoyment comes from spending time with her family here in California, and in her hometown of Minot North Dakota. Shara is deeply involved in giving back to the community. Whether it be volunteering her time for team sports programs, walking for a cause, fundraising, or sponsoring a child that otherwise could not afford to play a team sport, Shara finds ways to help others in whatever capacity she can. One cause close to Shara’s heart is raising cancer awareness and prevention. Shara is an essential member of Speake Insurance Service. She is committed to ensuring a work environment that encourages continuous customer service improvements. Cheryl is enthusiastic in approaching organization-wide challenges from many angles and utilizing her 18 years as a Certified Paralegal, and 8 years as a Quality Assurance Manager to deliver effective solutions. Her creative nature, and ability to excel independently, enables her to think “outside the box” deriving new ideas for our company and clients. Cheryl is the Assistant Controller helping Shara in overseeing operations cross lines for internal reporting, management reporting, company policies and procedures, and accounting strategy. She assists with preparation of reports and ensures staff compliance across all lines of insurance have been met. Her excellent attention to detail and balanced approach to issues makes her a valuable addition to our team.